There are a number of great Bahamas all inclusive resorts. Here we've found the best 5 star, 4 star and 3 star resorts. In most cases, we've noted what past guests have said so that you can have an idea about what these resorts are really like. 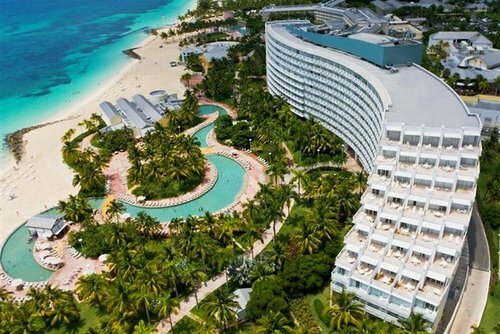 The Bahamas is a top destination for all inclusive resorts and there are some spectacular resorts here. 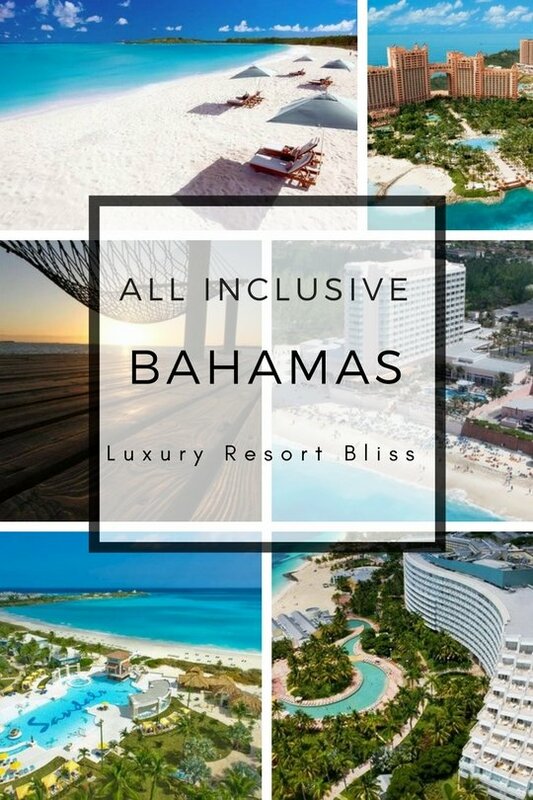 A review of the best all inclusive resorts in the Bahamas with special offers for each. 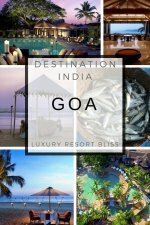 A spectacular all inclusive luxury property that features seven restaurants, Greg Norman golf course, ocean view rooms and 24 hour all round luxury and inclusions like scuba and much much more. The best suites include your own butler. The best special packages will provide all inclusive water sports and fine dining. As you would expect at the high end Sandals resort everything is done with perfection from the carefully curated wine and and coffee,and pillow menus down to the personalised butler service. Emerald Bay is often regarded the best all inclusive in the Bahamas Sandals located on the pristine string of "Out" islands and cays. The location really is gorgeous and has it's own little enclave near Rokers Point, with access to Emerald Bay Beach and not far further from Exuma Beach and the airport. The idea was simple find one of the most pristine, undeveloped spots in the bahamas and build an ultimate luxury resort for couples and families to enjoy. 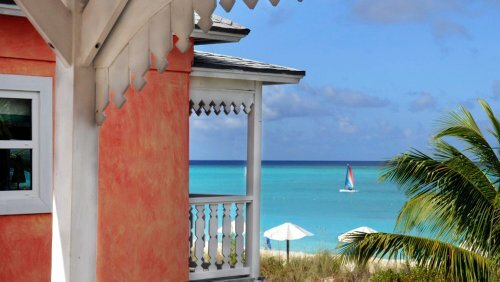 The Bahamian-style villas and facilities will have you lapping up the relaxed island lifestyle quite quickly as you explore 500 acres of pure quality resort. Including a half acre dedicated to the zero entry pool. Dining in the Seven or more restaurants is one of the big attractions with world class from the classic English Pub experience, the Tuscan treasures and the freshest local seafood. OPtions range from fine dining to relaxed by the beach and your sure to find your particular scene. Situated on a Caribbean beach way out on the island of San Salvador. 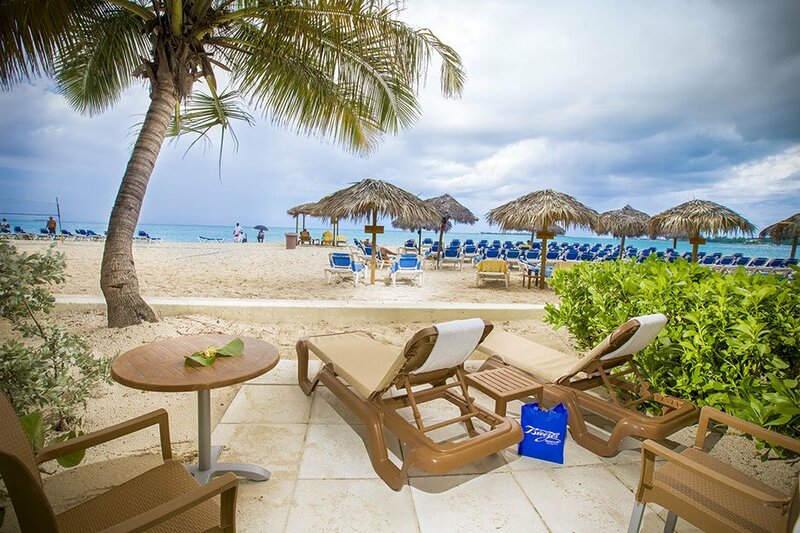 If you like the active all inclusive Club Med format, then this is a good choice. Lots to do in a good setting with reef wall diving opportunities as well as all the entertainment and quality dining options you would expect for the quality Club Med brand. The name is more than marketing and is actually where Christopher Columbus set foot 500 years ago, on a white sand . Renamed Columbus Island by Club Med, it is now a precious jewel in the Bahaman archipelago, dedicated to the conquest of new pleasures. The Riu Palace Paradise Island Hotel is a 24h All Inclusive resort prides itself with its happy attentive service which is it's top attraction. Also the beach location on Paradise Island and a splattering of good facilities also helps. The buffet is impressive with a variety of international dishes. 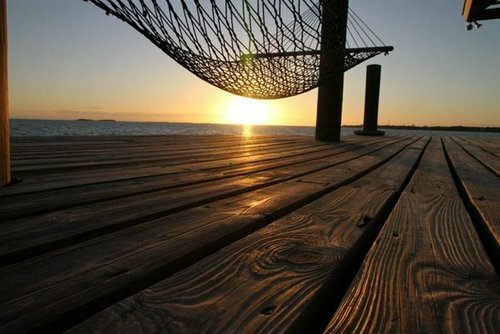 Nassau is a good island to situate yourself if you like to explore water sports and activities available for families. Discover the Must-sees & Must-dos of Bahamas, the beautiful island full of adventure to live the authentic Bahamian experience. 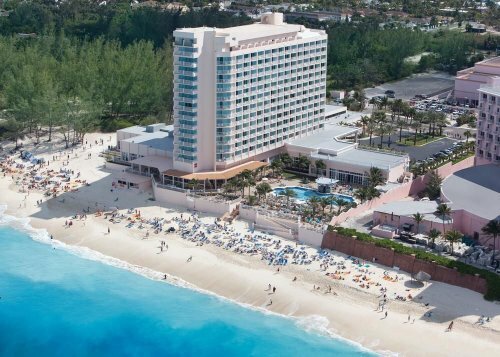 Located on a typically nice 3-mile sandy beach, this Bahamas all inclusive family resort is right next to the famous Atlantis Bahamas Resort which offers quite a few advantages. Includes: tennis, volleyball, entertainment and themed shows, leisure activities and fine dining. Golf, scuba and deep sea fishing are available but not included. This resort was voted the top Caribbean Spa Resort by Conde Nast Traveler. And for good reason. Sandals are champions at providing great choices at the luxury end of the market. Sure there is lots to do with multiple beaches, pools, swim-up bars, and great restaurants. But it's the way it's done that makes the difference. Everything from the first class airport pick-ups to the first class service in the scores of quality restaurants. It's done to perfection. 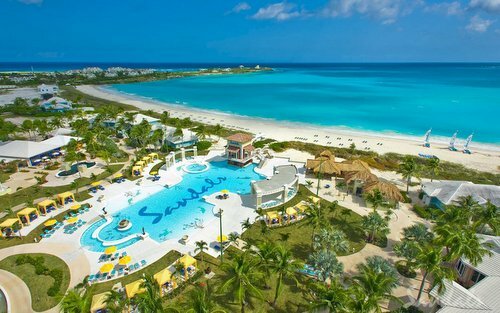 See special offers and information on Sandals; Save big and get resort credits at Sandals Royal Bahamian Spa Resort & Offshore Island. 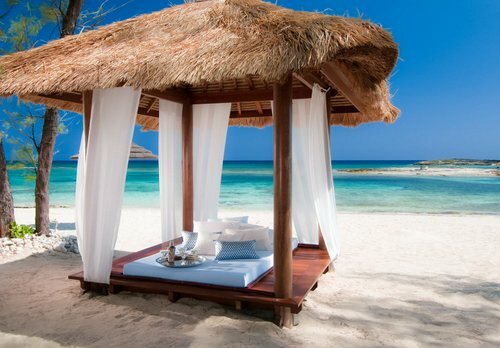 Latest reviews on Sandals Royal Bahamian Spa Resort & Offshore Island, Nassau. 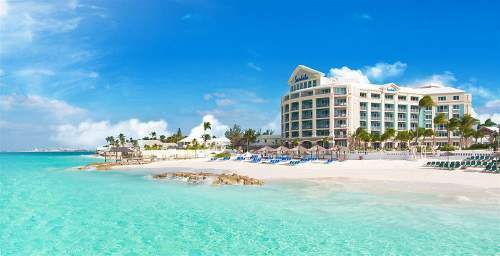 The melia Melia Nassau All Inclusive Vacation Resort is huge with nearly 600 rooms and provides a quality, value experience. See our full review. The Paradise Island Harbour Resort is a popular choice. Its all inclusive package includes: 3 meals (2 in restaurants), house brand drinks, snorkeling, pool, mountain bikes, tennis and other sports, children's activities and more. After the renovations and change of ownership in 2017 emerged a new 4 Star All-Inclusive Adult Only Resort, which included a lot more activities including bicycles, an updated pool deck, and an all inclusive approach with meals and snacks, beverages, Wi-Fi, Entertainment and activities. This resort may be budget friendly but reviews have improved dramatically over the former property here. More on Paradise Island Harbour Resort - latest reviews. Another great resort you may be interested in is Small Hope Bay on Andros island. It offers family-style meals, has 21 rooms and water sports equipment. This place is good if you're especially interested in the reef, snorkeling and fishing. The beach cabins are a great way to stay close to nature with your family or partner and connect - after a great day exploring the world's third biggest barrier reef nearby. The resort offers an all-inclusive meal plan, games room, and supervised child care. More information and special offers for Small Hope Bay Lodge All Inclusive. Located on Grand Bahama Island on 7.5 acres of beaches. Accommodations have sand-coloured walls and brightly coloured fabrics. There are 478 guestrooms and suites. There's a children's activity centre, family activities organized by the resort, a sand playground, wading pool, quiet pool, spa tub, 2 golf courses, spa and casino. The all-inclusive package includes: non-motorized sports, resort fee, meals and beverages at 3 locations and accommodation. Sharpen your swing with like the weekly Beach Barbecue event, and Fish Fry and Bahamian Buffet add more variety. 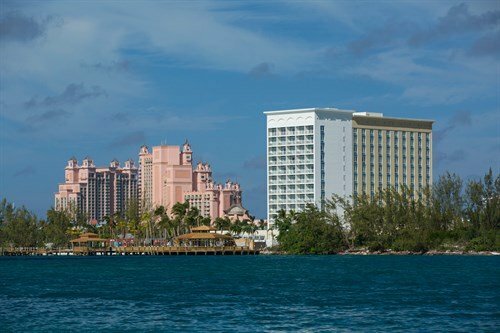 Accommodations are in either the Lighthouse Pointe (222 rooms) or the 10-story high-rise (527 rooms). All have the Heavenly Bed and Heavenly Bath. It's all inclusive and includes rooms, meals and activities. Reviews for this resort have not been consistent over time. Sometimes they are fantastic (nearly perfect) while at other times guests seem to have a mediocre time. It's worth checking what they've been like around the time you'd like to go. 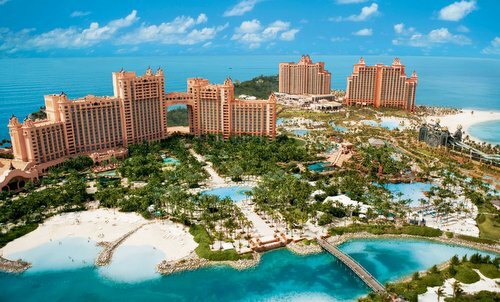 Atlantis Resort in the Bahamas also has some great family friendly all inclusive Bahamas vacation. The all inclusive package includes: meals, beverages - including the swim-up bar, the pools, fitness room, water sports, other sports, and use of the rock climbing wall and circus trapeze. There is golf across the street. There are 391 rooms with patios or balconies. This resort gets good (but not great) reviews. Reviewers say: food is not that great, but good for singles, entertainment is good, rooms are a little old, great value, a 4 star resort. More information and offers on Breezes Bahamas All Inclusive Family Resort. 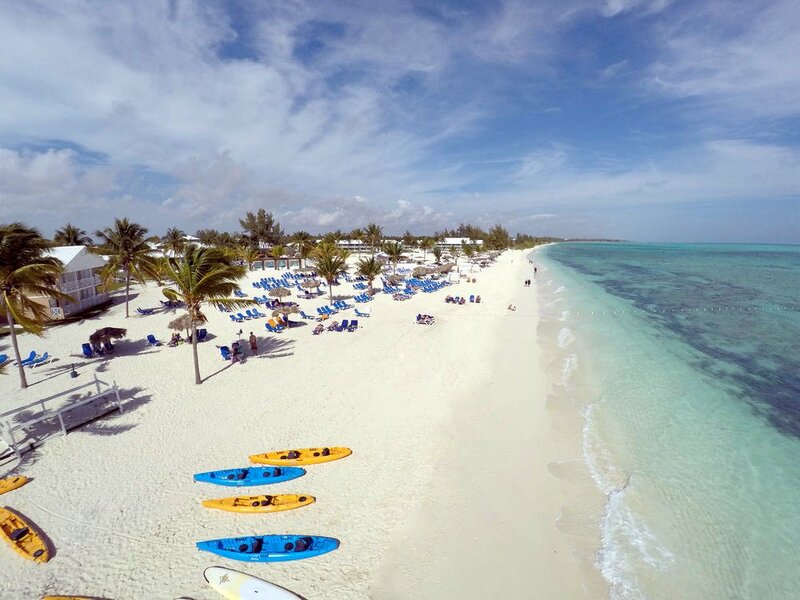 A reasonable Bahamas all-inclusive with a private beach, the usual bars and a Kids Club. Reviews are okay here. Check the latest reviews before you book. 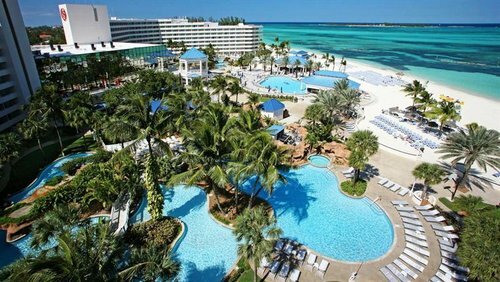 Found some Bahamas all inclusive resorts you like? If you'd like to keep looking, take a look at the right hand menu for more great resort listings in the Bahamas. 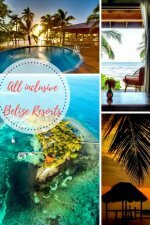 If you want to keep looking for an all inclusive, check out some more All Inclusive Resorts in the Caribbean or Cheap All Inclusive Vacation ideas.